Levis FIREBAUGH men's Casual Shoes in Brown Leather, Available in men's sizes. 6,7,10,11. Free Next Day Delivery and Free Returns on all orders! Levis 218261-1700 men's Casual Shoes in Brown Leather, Available in men's sizes. 7,10. Free Next Day Delivery and Free Returns on all orders! Levis 501 THE ORIGINAL men's Jeans in Blue , Available in men's sizes. UK 29. Free Next Day Delivery and Free Returns on all orders! Levis REVEL DC SKINNY women's Skinny Jeans in Blue / MEDIUM , Available in women's sizes. UK 10 / 12,UK 10 / 12,UK 12,UK 12 / 14,UK 12 / 14,UK 14,UK 14,UK 14 / 16,UK 14 /16. Free Next Day Delivery and Free Returns on all orders! Levis 712 SLIM women's Skinny Jeans in Blue / Dark , Available in women's sizes. UK 10 / 12,UK 8 / 10,UK 10,UK 10 / 12,UK 6 / 8,UK 12 / 14,UK 14,UK 14 / 16. Free Next Day Delivery and Free Returns on all orders! Levis 715 BOOTCUT women's Bootcut Jeans in Blue / Raw , Available in women's sizes. UK 8,UK 10,UK 8 / 10,UK 10,UK 10 / 12,UK 6 / 8,UK 8,UK 12,UK 12 / 14,UK 6. Free Next Day Delivery and Free Returns on all orders! Levis 715 BOOTCUT women's Bootcut Jeans in Black , Available in women's sizes. UK 8,UK 10 / 12,UK 6 / 8,UK 8,UK 12 / 14,UK 12. Free Next Day Delivery and Free Returns on all orders! Levis 527 men's Bootcut Jeans in Blue , Available in men's sizes. UK 36. Composition: 88% cotton, 12% elastaneFree Next Day Delivery and Free Returns on all orders! Levis Windbomber 2 men's Jacket in Black , Available in men's sizes. XXL,S,M,L. Free Next Day Delivery and Free Returns on all orders! Levis 511 men's Jeans in CAMEL , Available in men's sizes. UK 28. Free Next Day Delivery and Free Returns on all orders! Levis BALDWIN BROGUE LACE men's Mid Boots in Brown Leather, Available in men's sizes. 7. Free Next Day Delivery and Free Returns on all orders! Levis SANCIO MID women's Mid Boots in Grey Leather, Available in women's sizes. 3,4,6,7. Free Next Day Delivery and Free Returns on all orders! Levis BALDWIN DERBY LACE men's Mid Boots in Black Leather, Available in men's sizes. 10,11. Free Next Day Delivery and Free Returns on all orders! Levis 712 SLIM women's Skinny Jeans in Blue / Raw , Available in women's sizes. UK 8 / 10,UK 12 / 14,UK 14. Free Next Day Delivery and Free Returns on all orders! Levis DC BOOTCUT women's Bootcut Jeans in Blue , Available in women's sizes. UK 6 / 8. Free Next Day Delivery and Free Returns on all orders! 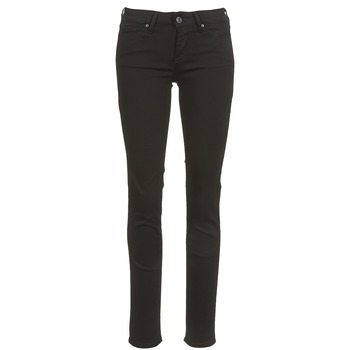 Levis 712 SLIM women's Skinny Jeans in Black , Available in women's sizes. UK 14,UK 14 / 16. Free Next Day Delivery and Free Returns on all orders! Levis 501 THE ORIGINAL men's Jeans in Black , Available in men's sizes. UK 34,UK 36,UK 34,UK 38,UK 28,UK 29,UK 30,UK 31,UK 30,UK 32,UK 32,UK 33,UK 33,UK 33,UK 34. Free Next Day Delivery and Free Returns on all orders! Levis 511 men's Jeans in Grey , Available in men's sizes. UK 34,UK 36,UK 34,UK 38,UK 29,UK 30,UK 32,UK 32,UK 33,UK 33. Free Next Day Delivery and Free Returns on all orders! Levis TULARE PT TOE CAP LOW LACE men's Shoes (Trainers) in Black Leather, Available in men's sizes. 6,7,8,9,10,11,12. Free Next Day Delivery and Free Returns on all orders! Levis REVEL LOW DC SKINNY women's Skinny Jeans in Grey , Available in women's sizes. UK 8 / 10,UK 10,UK 6 / 8,UK 12,UK 12 / 14,UK 12 / 14,UK 14,UK 14. Free Next Day Delivery and Free Returns on all orders!